Running a spa business and want to engage your spa’s clients and increase profits? 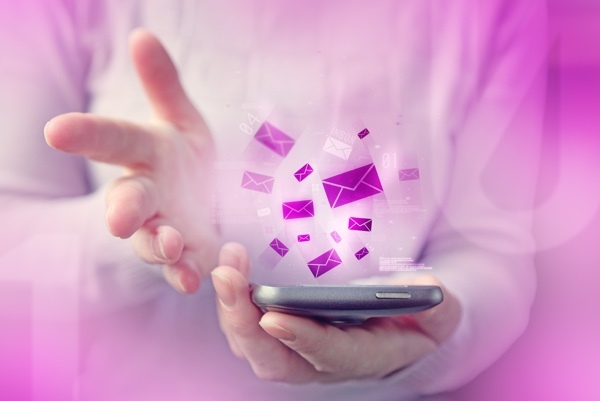 Implement a text message marketing strategy! This little-known marketing tactic can bring hot results for your spa. As you’re well aware, the spa industry can be cut-throat. Consider the number of spas and salons in your community and how this number is impacting your share of the market. Be seen and stand out from competitors by connecting with clients in new ways, such as through text messaging. Few marketers understand the perks of text message marketing and even fewer know that this method of marketing exists. Once considered of sole interest to younger populations, text messaging is now popular among many demographics. This popular form of communication is an effective way to ensure your spa’s marketing messages are viewed and acted upon by all ages of clients. If one thing is for certain, the one thing that most people keep close at all times is their phone. By building a text message client list, you can enjoy regular instant payoffs using this popular form of communication. For example, on your slowest day of the week, text your client list a coupon that can only be redeemed on the slow day. Since 90 percent of texts are read within three minutes, the day’s appointments should start booking quickly by clients who want to utilize the coupon. Don’t focus your business text message efforts solely on sales-oriented messaging. Rather, connect with clients on a personal level by occasionally messaging beauty tips, links to interesting health-related articles and more. These types of messages are unexpected and provide an additional reason for recipients to remain on your messaging list. As the article “5 Ways Mass Text Messaging can Benefit your Spa Business” looks at, a main point of sales loss for spas is from clients forgetting about their appointments or mistaking appointment times. Do your clients a favor by quickly and conveniently reminding them of upcoming appointments via text message. This will reduce profit loss and maintain your list of happy, regular customers in a cost effective manner. Spa clients who feel engaged with and connected to your spa are more likely to remain loyal to your business while also spreading positive word of mouth. Text message marketing can increase the engagement of clients by offering them exclusive specials and sneak peeks. These exclusive offers help make recipients feel special and rewarded for their loyalty to your business. One effective way to increase engagement in your text message marketing efforts is to send occasional contest announcements via text. Want to expand your spa marketing efforts and surpass the local competition? Implement a text messaging strategy. Text messaging is popular among multiple client demographics and allows you to connect with clients on a personal level while enjoying an instant sales boost. ← Is Your Marketing Funnel Getting the Job Done?